For more info, just Google “South Peachtree Creek Trail”. 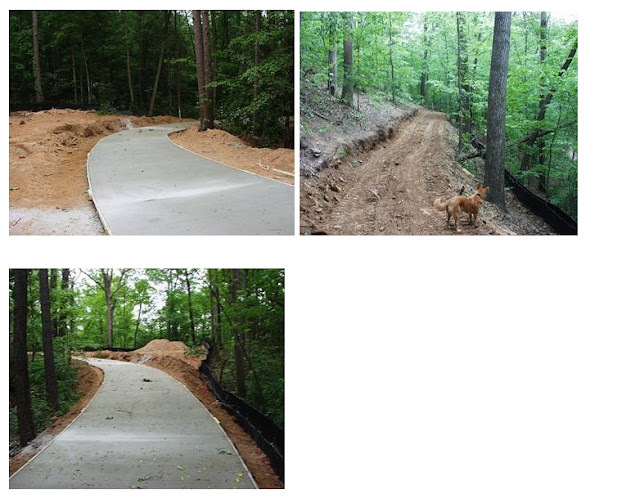 Built as a special EPA project in a floodplain to actually MITIGATE storm water drainage issues. Officially titled, “Big Creek Park Wetlands Enhancement Demonstration Project”. 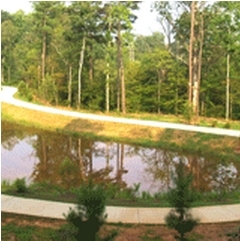 • Demonstrate urban stormwater “best management practices” for improving water quality. • Demonstrate groundwater recharge through the wetlands to improve low-flow conditions in Big Creek during drought periods. • Demonstrate wetlands enhancement such as improved wetland hydrology and habitat diversity. • Construct a network of trails for public use with the ability to provide public education pertaining to water quality, wetlands, and stormwater management. 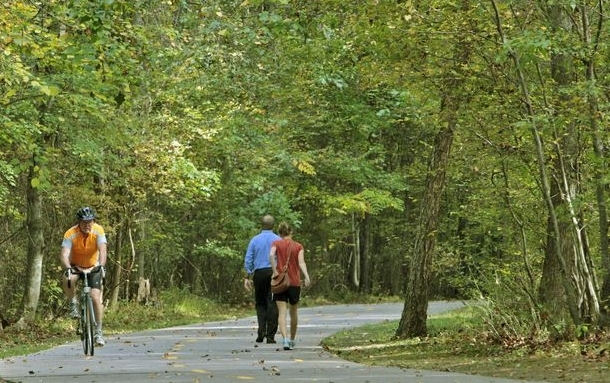 The greenway trail will connect with Alpharetta’s Big Creek Greenway. Construction began in Fall 2004. Monitoring will take place for four years after construction and results will be reported to the U.S. Environmental Protection Agency. 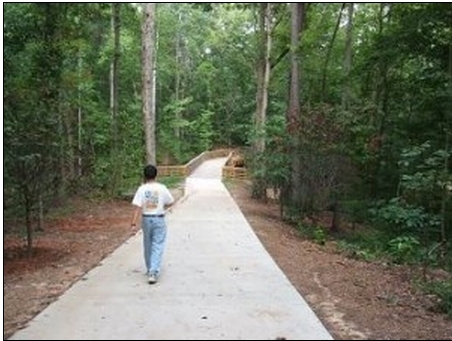 The objectives of the project were to demonstrate innovative water quality and wetlands enhancement techniques through the use of stormwater best management practices and groundwater recharge – all within a public park setting which includes a network of trails for public use and outdoor classrooms. Georgia Trendsetter Award 2006 by Georgia Municipal Association.